Keep your pet safe at all times with an easy-to-attach eZeClip. 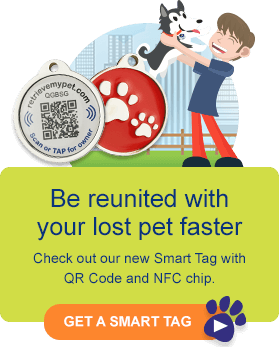 Connecting to both the collar and the pet tag, this is the smart and stylish way to ensure that your pet's tag stays in place. Available in a circular or heart-shaped design, the eZeClip come in eight colours to help you find the right one to suit your pet's personality. Including a strong stainless steel split ring to keep the tag in place, the clip itself can easily fix to any collar. 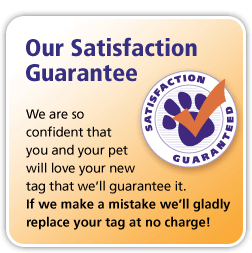 However, if you are concerned about the constant jingling of your pet's tag, it can easily be removed when you are relaxing at home with your pet. It's also handy if your pet is spoilt with multiple collars for different occasions! Available in different sizes to suit your pet, the circular design comes in both small and medium sizes while the heart is available in small, medium and large. The eZeClip is a great way to keep your cat and dog name tags secure in style - it’s bound to get a few tails wagging!